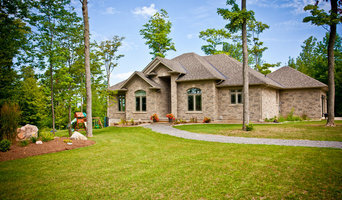 Granville Homes is a full-service custom builder. In a Granville Home, you’ll find unique floor plans and amenities that work in harmony with your personal vision – because we believe you should spend your life at home, not working to pay for it. Start a family, raise a family, retire comfortably, work, play, connect, save, live – that’s what a cleverly designed, well-built home in a thriving community allows you to do. Build smart. Live smart. With Granville Homes, discover a home and community in which you can live comfortably, and proudly. Built by our family, for yours. That’s what Granville Homes aspires to, and you can too. Now that’s smart. Piedmont Personal Builders is locally owned and operated, building quality custom homes in Central North Carolina. Over the past 20 years, R & K Custom Homes has built more than 250 homes located in the finest, most distinguished subdivisions in the county. Nestled among natures beauty... from peaceful wooded surroundings to crested upon rolling hills... you will find these exclusive homes. We believe choosing where you live is as important as how you live. We have an excellent reputation in the Triad North Carolina area, are fully insured and licensed, and are renowned for spectacular customer service. Most of all, we are very proud of our staff and our sub-contractors, and are sure you will be too, as proud as you will be of your new home construction. When you hire R & K Custom Homes, you’re hiring peace of mind in regards to your home building project. Contracting is not an exact science, regardless of what anyone tells you. It is a fluid process, so you need skilled laborers and craftsmen with the experience to overcome issues that arise on the job and who can adapt to make your project work. We pride ourselves on our ability to do just that. We look forward to hearing from you! 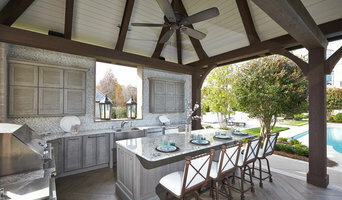 Quality - Detail - Experience As a trusted name in Custom Home building, Disney Custom Homes has been crafting beautiful homes in the Triad North Carolina for over 30 years. Disney custom built homes provides homebuyers with the confidence of knowing they are making a sound, lifelong investment. As our family business continues to expand into the future we hope to take with us your family’s confidence in not only our craftsmanship, but also our dedication to our customers and the communities we live in. 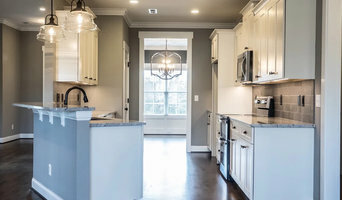 As you search for your ideal home, remember that Disney Custom Homes carries with it a time-tested reputation of excellence and the responsibility to provide you with not only a house, but a place you can call home in a community you are proud to live in.